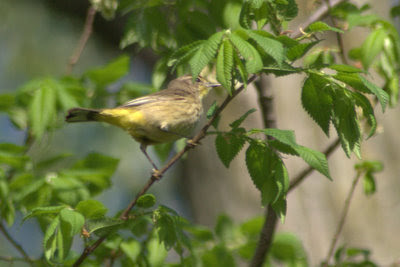 Tonight we have a collection of bird photographs that I took on May 4th in our back yard and Kenney Park, in a silver maple/boxelder/cottonwood/hackberry/black walnut forest. 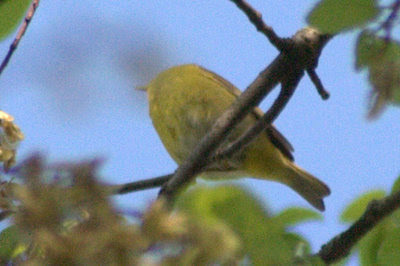 This was a clear and cool morning, and it seemed to be the day of the greatest warbler fallout that I witnessed. 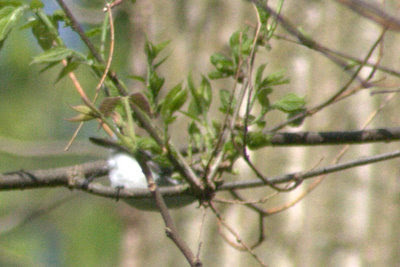 Here are some of the birds species that I managed to photograph. Some are pretty easy to identify, and others I have questions about, and some are just down right too difficult I think for anyone to identify, but who knows, our collective naturalization process could produce some very interesting results! I'm personally most interested in #5. 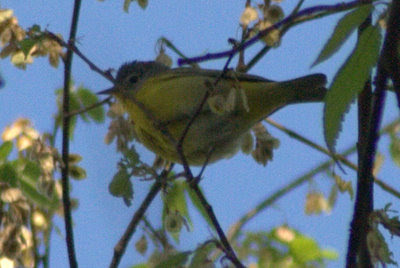 I found nothing that really matched while I was leafing through my Peterson Field Guide to Warblers. I'm really a novice when it comes to birds. 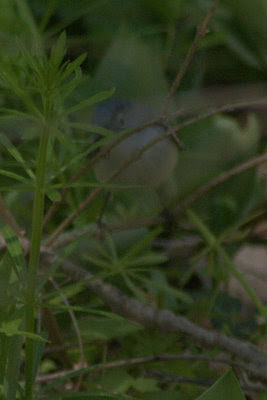 Tom: It's fun to try to capture the birds as they move through the back yard. Megan is really good at this! Sounds perfect! 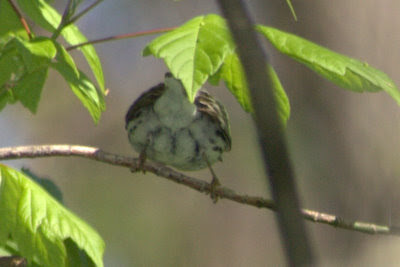 I'll guess Cape May Warbler for #2 and Chipping Sparrow for #3, but then they get to hazy for me. 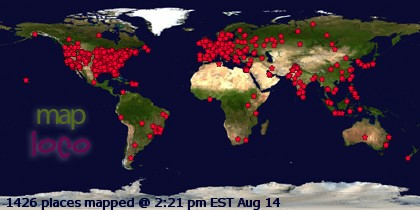 When I click to enlarge they don't get any larger. 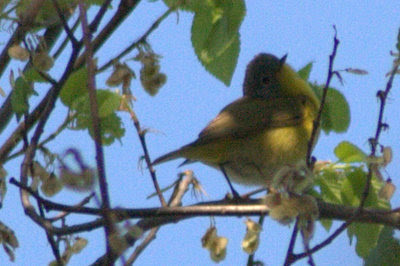 I'm pretty sure # 5 is a blue winged warbler. 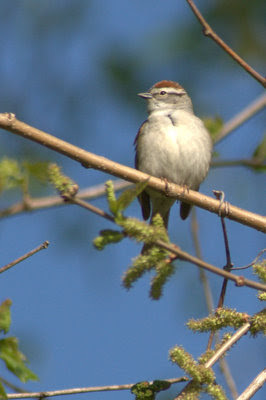 Check out Mike's Birding and Digiscoping Blog today for a nice pic of one that looks like it matches yours. Great photos, Tom! 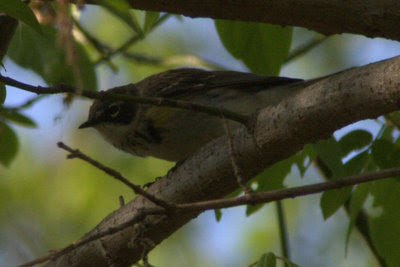 We don't see warblers in our backyard. I love birds. The cardinals are so bright and cheer up even a rainy day. We have two of them right now. Any advice on lighting if you don't want to use the automatic feature. Can you point me to a link? Wonderful bird photos, beautiful shots. They make you aware of all these little fellows whose songs quite often are taken for granted. 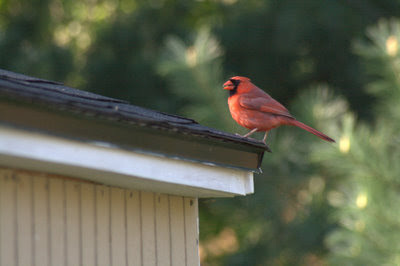 Guy- Yeah, most of these were actually just down the street in Kenney Park, but the cardinal was in the yard. You're right, the images don't get larger. I trim them up before I upload the pictures so if someone does decide to steal them, they won't have much to work with! You definitely have #3 down. 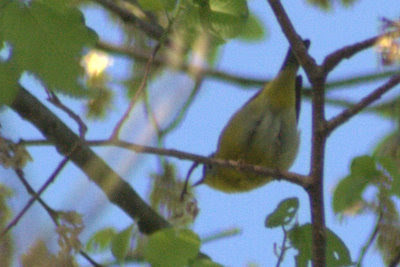 My initial indication was to agree with Ryan, that #2 is a palm warbler, but I'm certainly no expert here! Mike- You got this one. 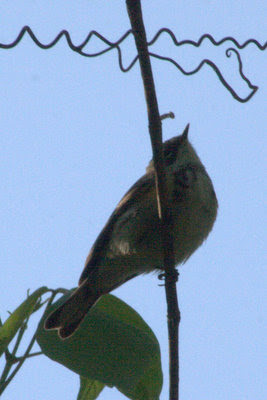 The blue-winged was one I was sure of in this set, just because of its distinctive two note buzzing call! It is really distinctive. 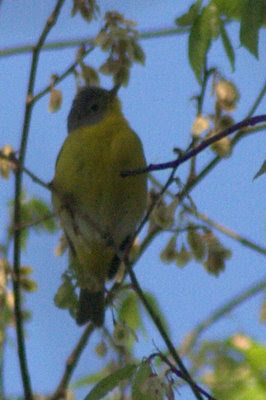 This really is quite a handsome warbler. Thanks for the link, Mike's picture is great. JJ- So excited to here that you got your new camera. It will open up a whole new world of photography! I think the best thing to do is to read the manual, and then check out this flickr discussion about tutorials on the web for using the XTI! Feel free to shoot me an e-mail with any questions you might have. Susanne- You are so right about the birds being heard but not seen. 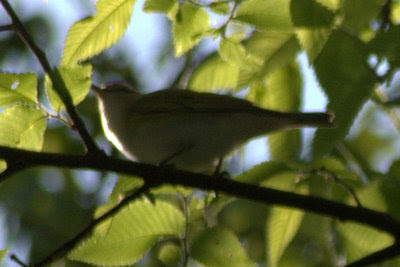 Its amazing how many warblers I hear singing walking down a wooded neighborhood. Most people have no idea what is passing through, just above their heads. 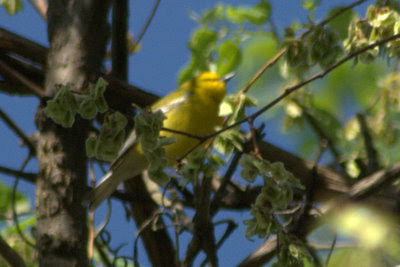 I'm still so amazed how these birds just show up in our floodplain forest area for a few days every spring. It is a great sign of spring. Ryan- You rock man. I think you hit everything right on. I wasn't sure about number 5 when I looked through the field guide, but now that you mentioned Nashville, that looks right. Especially after looking at several other photographs on the internet. 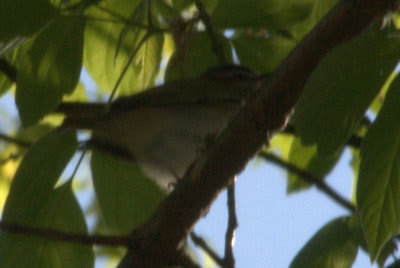 I'm really impressed with the red-eyed vireo as well! As far as the song sparrow goes, I have no idea what bird this is. I was looking through my photographs, and I just don't remember if I saw anything but its rump or not! So, I think we've ID correctly everything BUT #8. Any more guesses with this one? I'd be really impressed if we are able to put an ID on #8. Wow! These are great! I don't get these kind of birds yard. How exciting for you!